Samford University student Matt Johnston recently received some very exciting news from his home state of Kentucky. Johnston, a sophomore political science major from Paducah, is an avid photographer and has been taking pictures for more than three years. This year, he submitted 14 of his photographs to compete in the Kentucky State Fair. One of his photos went all the way through the county level to the state-wide level, before being named Grand Champion. Johnston’s photo was chosen over about 2,000 other submissions. 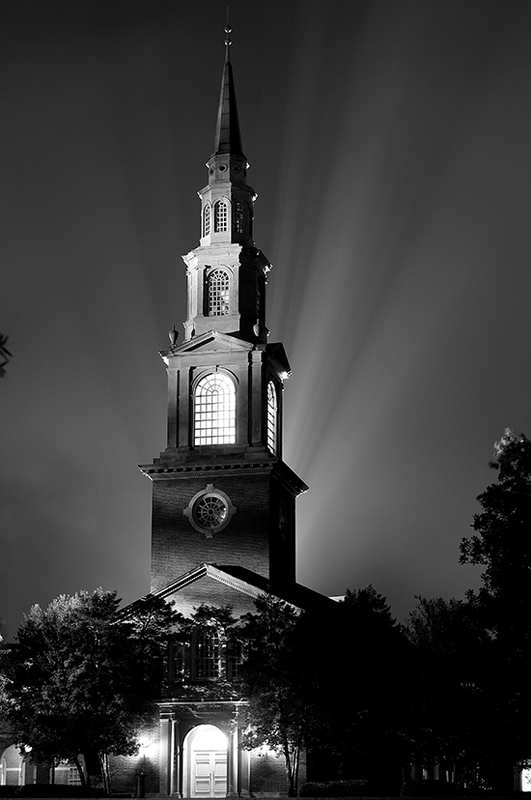 The winning photograph shows Samford University’s own Reid Chapel shining brightly in a misty January evening. Johnston said he spotted this striking image while walking around campus one night.